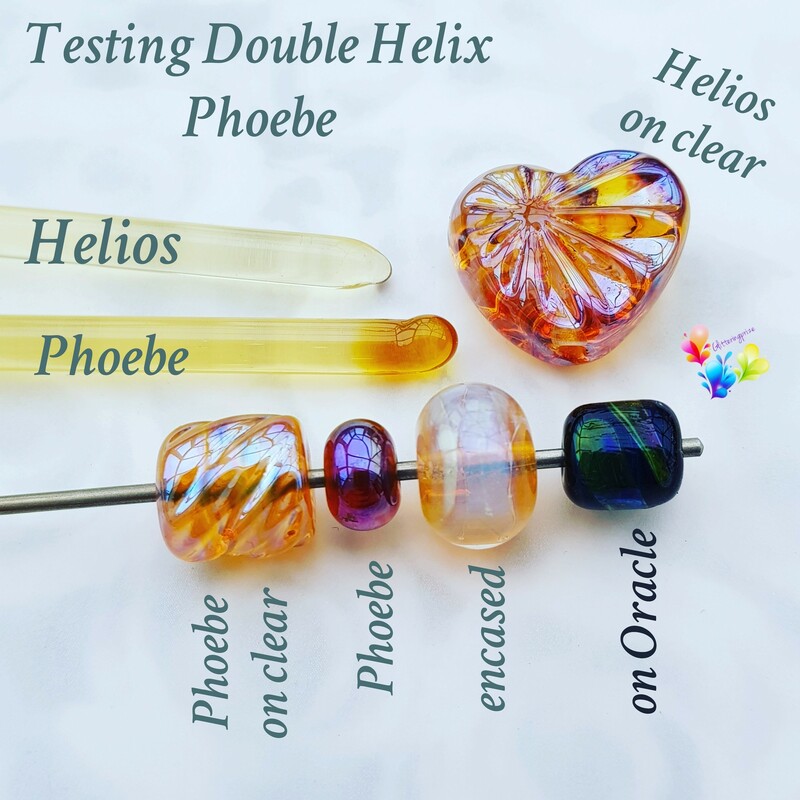 The new lustre glass from Double Helix is golden and in the rod is a tiny tiny bit opaque. It melts like butter, and even melting in a neutral flame I could see the metallic sheen start to form. This doesn't reduce quite as fast as Helios, so it does give you a bit more control over the process and the end result is a little lighter than and a touch more pink. I made some beads early on in my session and some at the end to see if holding them in the kiln effected the surface lustre, I'm glad to say it didn't! The encased bead I reduced slightly more and allowed the bead to cool several times while melting in the encasing).The small bead on the right is over Oracle. Its not easy to see, but it does have a very pretty effect on it, and I'm keen to explore this further.